Special Discount Code for IAM members attending DesignX at the ICFF (The International Contemporary Furniture Fair) New York City’s Jacob K. Javits Convention Center, May 18-21, 2013. DesignX brings together industry leaders to present the tools and technologies that are revolutionizing our designed world-- right on the showroom floor of the 25th annual International Contemporary Furniture Fair, North America’s platform for global design (35,000 attendees). DesignX will consist of four days of classes and networking events, including presentations from MIT <http://architecture.mit.edu/> architecture and programming lecturer Skylar Tibbits <http://architecture.mit.edu/faculty/skylar-tibbits> , Duann Scott of 3D printing marketplace Shapeways <http://www.shapeways.com/> , programmers Jessica Rosenkrantz and Jesse Louis-Rosenberg from Massachusetts design studio Nervous System <http://n-e-r-v-o-u-s.com/> , and Francis Bitonti, whose 3D-printed dress for burlesque dancer Dita Von Teese <http://www.dezeen.com/2013/03/07/3d-printed-dress-dita-von-teese-michael-schmidt-francis-bitonti/> . 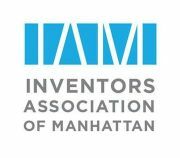 IAM Meetup attendees may receive complimentary trade registration for the ICFF (Register before May 14), so that they may enjoy the trade show either before or after the networking event. Additionally, we will provide a discount code for your Meetup attendees if they would like to attend a DesignX class (10% Rate Reduction). 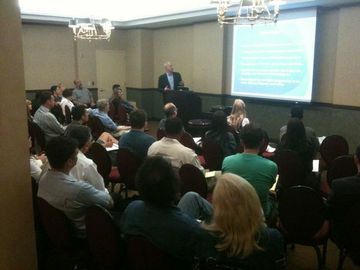 c/o MCI Products Group, Inc.